In addition to a revamped user interface and a new Beats Music app, Apple is said to have given third-generation Apple TVs an intriguing under-the-hood tweak in last week's software update: compatibility with the company's new HomeKit home automation technology. The new boss: same as the old boss? 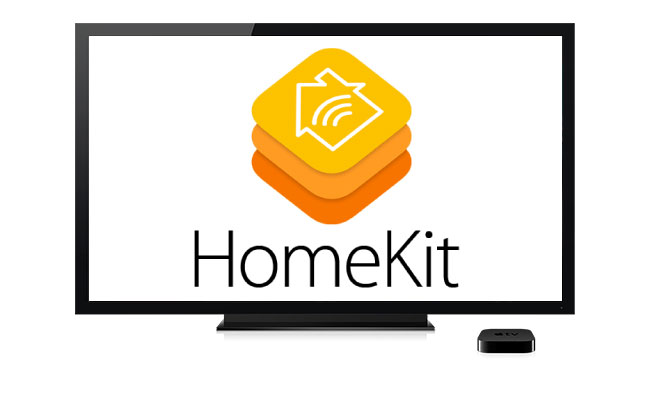 HomeKit support was initially included in late beta versions of Apple TV Software Update 7.0, which was released alongside iOS 8 on Wednesday. Despite being absent from Apple's official update documentation, the HomeKit frameworks did make into the shipping update, according to Aaron Tilley of Forbes. HomeKit is a software framework designed to make it easy for consumers to control home automation systems —whether they utilize a standard, like Zigbee, or a proprietary protocol to communicate— from an iOS device. HomeKit abstracts away the connecting "glue," with the goal of allowing companies that are good at hardware to design the hardware and companies that excel at software to design the software while Apple helps them talk to each other. Imagine bringing home a fourth-generation Apple TV, connecting it to your Wi-Fi network, and immediately being able to ask Siri to turn off your downstairs lights and raise the temperature in the house when you go to bed, no matter which smart home manufacturer made the bulbs and thermostat. All of this with minimal additional configuration —and minimal investment —thanks to the behind-the-scenes work done by Apple with HomeKit. Such a scenario now seems even more certain, given that the millions of third-generation Apple TVs already in consumers' homes can serve the same purpose. Apple has been tight-lipped about HomeKit since summer's Worldwide Developers Conference, but this could be a sign that more developments will soon be on the way, perhaps as early as the rumored media event to be held near the end of October.